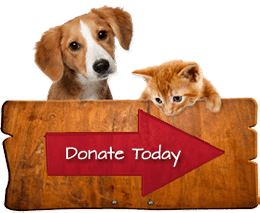 At Great River Rescue, we see a lot of people who donate pet supplies after the loss of their pet. 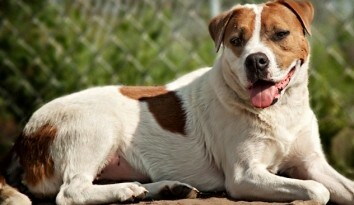 Additionally, they may be coming to adopt weeks or months after having lost a companion. We appreciate it when people think of the shelter pets after a loss. And, we want to support you in dealing with your loss. 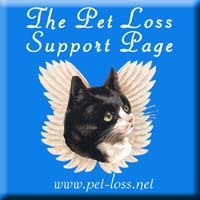 We know how hard it can be to lose a pet, and this webpage is just one small way for us provide resources for those that are suffering through the loss of a pet and support you. Anyone who considers a pet a beloved friend, companion, or family member knows the intense pain that accompanies the loss of that friend. Following are some tips on coping with that grief, and with the difficult decisions one faces upon the loss of a pet. 1. Am I crazy to hurt so much? Intense grief over the loss of a pet is normal and natural. Don’t let anyone tell you that it’s silly, crazy, or overly sentimental to grieve! During the years you spent with your pet (even if they were few), it became a significant and constant part of your life. It was a source of comfort and companionship, of unconditional love and acceptance, of fun and joy. So don’t be surprised if you feel devastated by the loss of such a relationship. People who don’t understand the pet/owner bond may not understand your pain. All that matters, however, is how you feel. Don’t let others dictate your feelings: They are valid, and may be extremely painful. But remember, you are not alone: Thousands of pet owners have gone through the same feelings. 2. What Can I Expect to Feel? Guilt may occur if you feel responsible for your pet’s death-the “if only I had been more careful” syndrome. It is pointless and often erroneous to burden yourself with guilt for the accident or illness that claimed your pet’s life, and only makes it more difficult to resolve your grief. Denial makes it difficult to accept that your pet is really gone. It’s hard to imagine that your pet won’t greet you when you come home, or that it doesn’t need its evening meal. Some pet owners carry this to extremes, and fear their pet is still alive and suffering somewhere. Others find it hard to get a new pet for fear of being “disloyal” to the old. Anger may be directed at the illness that killed your pet, the driver of the speeding car, the veterinarian who “failed” to save its life. Sometimes it is justified, but when carried to extremes, it distracts you from the important task of resolving your grief. Depression is a natural consequence of grief, but can leave you powerless to cope with your feelings. Extreme depression robs you of motivation and energy, causing you to dwell upon your sorrow. 3. What can I do about my feelings? The most important step you can take is to be honest about your feelings. Don’t deny your pain, or your feelings of anger and guilt. Only by examining and coming to terms with your feelings can you begin to work through them. You have a right to feel pain and grief! Someone you loved has died, and you feel alone and bereaved. You have a right to feel anger and guilt, as well. Acknowledge your feelings first, then ask yourself whether the circumstances actually justify them. Locking away grief doesn’t make it go away. Express it. Cry, scream, pound the floor, talk it out. Do what helps you the most. Don’t try to avoid grief by not thinking about your pet; instead, reminisce about the good times. This will help you understand what your pet’s loss actually means to you. Some find it helpful to express their feelings and memories in poems, stories, or letters to the pet. Other strategies including rearranging your schedule to fill in the times you would have spent with your pet; preparing a memorial such as a photo collage; and talking to others about your loss. 4. Who can I talk to? If your family or friends love pets, they’ll understand what you’re going through. Don’t hide your feelings in a misguided effort to appear strong and calm! Working through your feelings with another person is one of the best ways to put them in perspective and find ways to handle them. Find someone you can talk to about how much the pet meant to you and how much you miss it-someone you feel comfortable crying and grieving with. 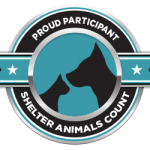 If you don’t have family or friends who understand, or if you need more help, ask your veterinarian or humane association to recommend a pet loss counselor or support group. Check with your church or hospital for grief counseling. Remember, your grief is genuine and deserving of support. 5. 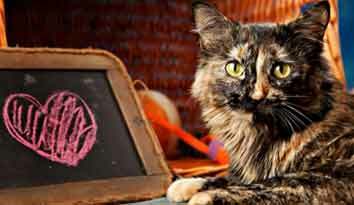 When is the right time to euthanize a pet? Your veterinarian is the best judge of your pet’s physical condition; however, you are the best judge of the quality of your pet’s daily life. If a pet has a good appetite, responds to attention, seeks its owner’s company, and participates in play or family life, many owners feel that this is not the time. However, if a pet is in constant pain, undergoing difficult and stressful treatments that aren’t helping greatly, unresponsive to affection, unaware of its surroundings, and uninterested in life, a caring pet owner will probably choose to end the beloved companion’s suffering. Evaluate your pet’s health honestly and unselfishly with your veterinarian. Prolonging a pet’s suffering in order to prevent your own ultimately helps neither of you. Nothing can make this decision an easy or painless one, but it is truly the final act of love that you can make for your pet. 6. Should I stay during euthanasia? Many feel this is the ultimate gesture of love and comfort you can offer your pet. Some feel relief and comfort themselves by staying: They were able to see that their pet passed peacefully and without pain, and that it was truly gone. For many, not witnessing the death (and not seeing the body) makes it more difficult to accept that the pet is really gone. However, this can be traumatic, and you must ask yourself honestly whether you will be able to handle it. Uncontrolled emotions and tears-though natural-are likely to upset your pet. Some clinics are more open than others to allowing the owner to stay during euthanasia. Some veterinarians are also willing to euthanize a pet at home. Others have come to an owner’s car to administer the injection. Again, consider what will be least traumatic for you and your pet, and discuss your desires and concerns with your veterinarian. If your clinic is not able to accommodate your wishes, request a referral. 7. What do I do next? When a pet dies, you must choose how to handle its remains. Sometimes, in the midst of grief, it may seem easiest to leave the pet at the clinic for disposal. Check with your clinic to find out whether there is a fee for such disposal. Some shelters also accept such remains, though many charge a fee for disposal. If you prefer a more formal option, several are available. Home burial is a popular choice, if you have sufficient property for it. It is economical and enables you to design your own funeral ceremony at little cost. However, city regulations usually prohibit pet burials, and this is not a good choice for renters or people who move frequently. To many, a pet cemetery provides a sense of dignity, security, and permanence. Owners appreciate the serene surroundings and care of the gravesite. Cemetery costs vary depending on the services you select, as well as upon the type of pet you have. Cremation is a less expensive option that allows you to handle your pet’s remains in a variety of ways: bury them (even in the city), scatter them in a favorite location, place them in a columbarium, or even keep them with you in a decorative urn (of which a wide variety are available). Check with your veterinarian, pet shop, or phone directory for options available in your area. Consider your living situation, personal and religious values, finances, and future plans when making your decision. It’s also wise to make such plans in advance, rather than hurriedly in the midst of grief. 8. What should I tell my children? You are the best judge of how much information your children can handle about death and the loss of their pet. Don’t underestimate them, however. You may find that, by being honest with them about your pet’s loss, you may be able to address some fears and misperceptions they have about death. Honesty is important. If you say the pet was “put to sleep,” make sure your children understand the difference between death and ordinary sleep. Never say the pet “went away,” or your child may wonder what he or she did to make it leave, and wait in anguish for its return. That also makes it harder for a child to accept a new pet. Make it clear that the pet will not come back, but that it is happy and free of pain. Never assume a child is too young or too old to grieve. Never criticize a child for tears, or tell them to “be strong” or not to feel sad. Be honest about your own sorrow; don’t try to hide it, or children may feel required to hide their grief as well. Discuss the issue with the entire family, and give everyone a chance to work through their grief at their own pace. 9. Will my other pets grieve? Pets observe every change in a household, and are bound to notice the absence of a companion. Pets often form strong attachments to one another, and the survivor of such a pair may seem to grieve for its companion. Cats grieve for dogs, and dogs for cats. You may need to give your surviving pets a lot of extra attention and love to help them through this period. Remember that, if you are going to introduce a new pet, your surviving pets may not accept the newcomer right away, but new bonds will grow in time. Meanwhile, the love of your surviving pets can be wonderfully healing for your own grief. 10. Should I get a new pet right away? Generally, the answer is no. One needs time to work through grief and loss before attempting to build a relationship with a new pet. If your emotions are still in turmoil, you may resent a new pet for trying to “take the place” of the old-for what you really want is your old pet back. Children in particular may feel that loving a new pet is “disloyal” to the previous pet. When you do get a new pet, avoid getting a “lookalike” pet, which makes comparisons all the more likely. Don’t expect your new pet to be “just like” the one you lost, but allow it to develop its own personality. Never give a new pet the same name or nickname as the old. Avoid the temptation to compare the new pet to the old one: It can be hard to remember that your beloved companion also caused a few problems when it was young! A new pet should be acquired because you are ready to move forward and build a new relationship-rather than looking backward and mourning your loss. When you are ready, select an animal with whom you can build another long, loving relationship-because this is what having a pet is all about! Great River Rescue depends greatly on volunteers. Each month volunteers log about 150 hours of service.